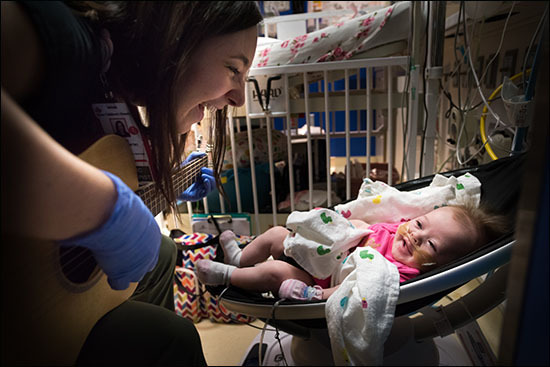 When nothing seems to calm 4-month-old Bella Deborbieris, her family and caretakers in the Neonatal Intensive Care Unit know who to call – Texas Children’s Music Therapist Alix Brickley. 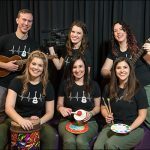 Within minutes of Brickley’s arrival to the side of Bella’s crib, a sense of peace and joy washes over the infant, whose big blue eyes stay focused on the music therapist while she strums her half-size guitar and softly sings the theme song to the Disney movie Frozen. 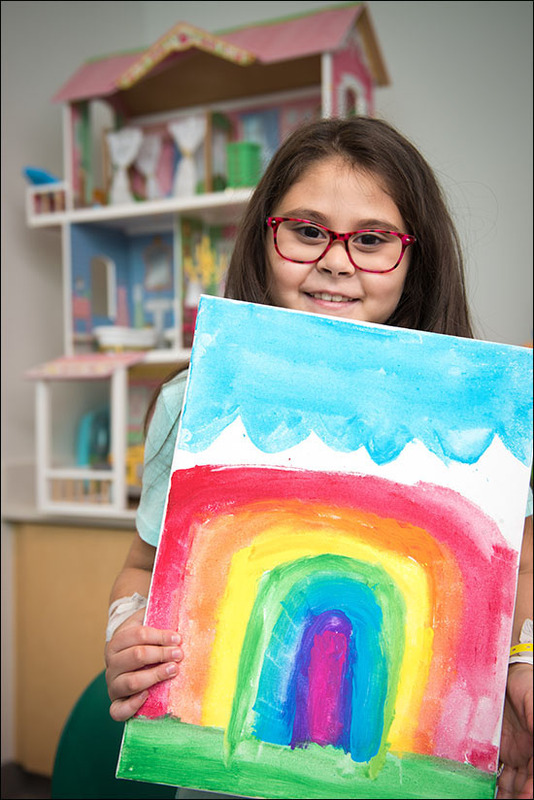 Brickley is a member of Texas Children’s Child Life Department’s newly formed Creative and Therapeutic Arts Program. 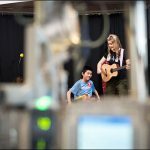 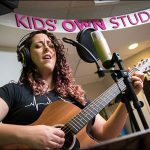 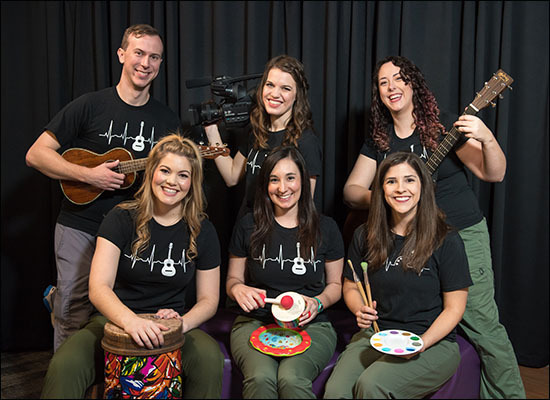 The program is comprised of four music therapists, one art therapist and a media producer, all of whom work collaboratively to alleviate stress and anxiety, while promoting positive coping skills, for patients and families during their time at Texas Children’s. 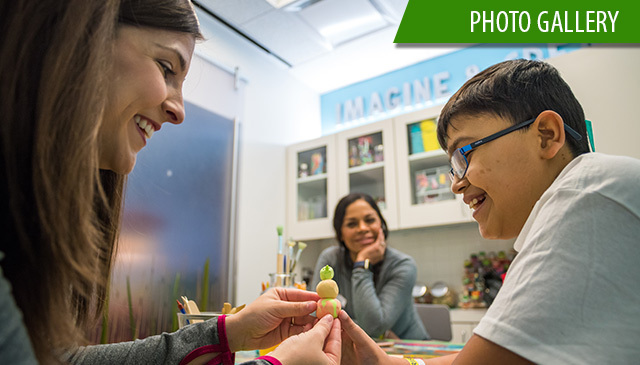 Each therapist is assigned a caseload throughout our Texas Medical Center Campus, working with many of their patients daily. 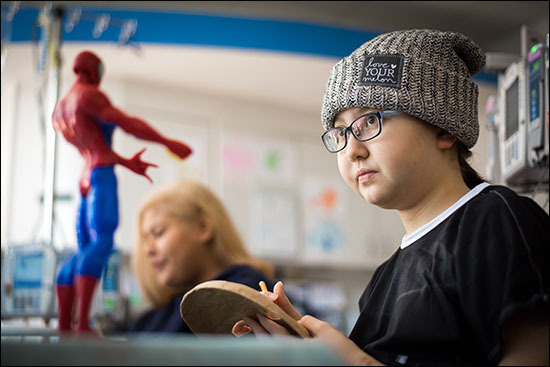 Art Therapist Ashley Wood spent a lot of time with 12-year-old Tyrese Neal throughout his lengthy stay at Texas Children’s Heart Center. 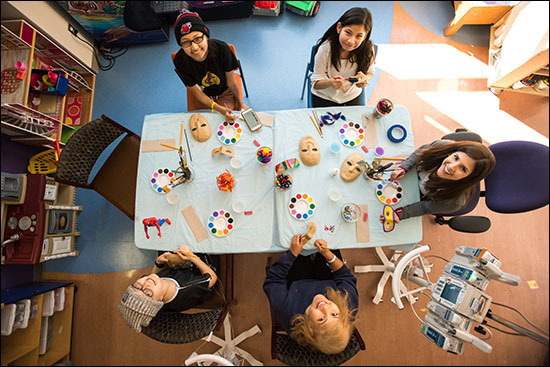 She and the heart transplant patient created masks that represented how he was feeling at the time. 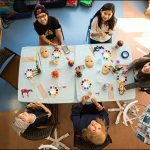 They also used colorful thread to make worry dolls. 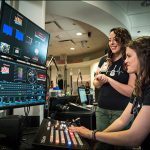 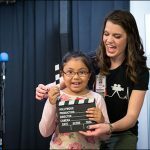 The role of Child Life Media Producer Ashby Gleditsch on the new team is to work with the therapists to produce interactive programming for Texas Children’s Hospital’s closed circuit television station Z-TV, which can be viewed on channel 19 of any cable-connected television in the hospital. 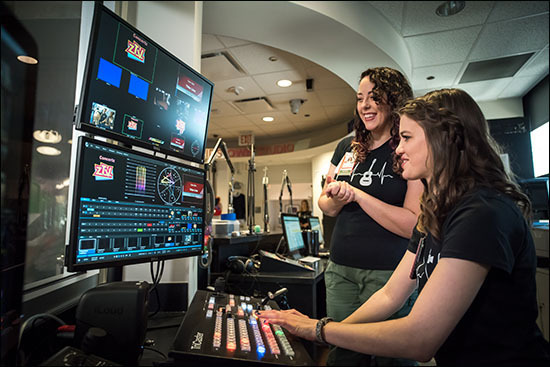 Some of that programming – music concerts – is prerecorded and other shows – Bailey Bingo – are live. 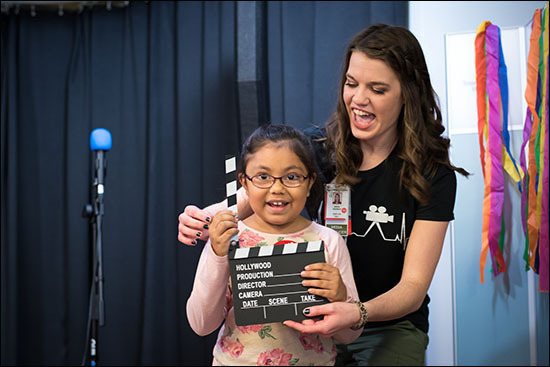 Gleditsch also works with the therapists on the team to create videos for specific patients. 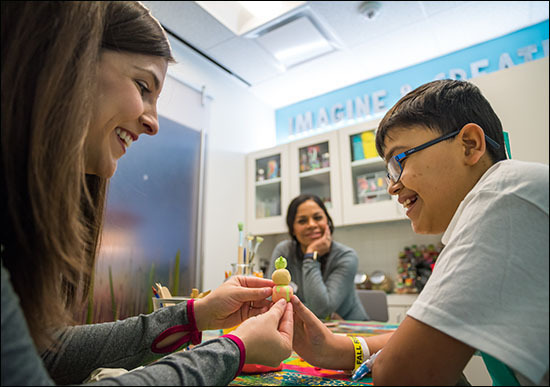 All of her projects, she said, are aimed at enhancing a patient’s self-concept and leaving them with a good impression of Texas Children’s. 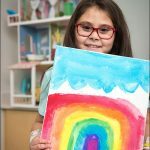 “Giving our patients an outlet to creatively express their emotions is really powerful,” Gleditsch said. 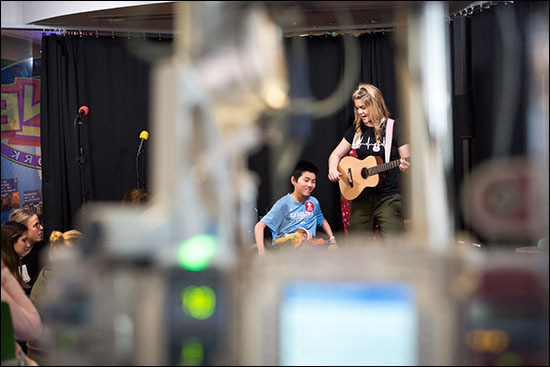 The other members of the Creative and Therapeutic Arts Program are Marial Biard, Abi Carlton and Michael Way, all of whom are music therapists. 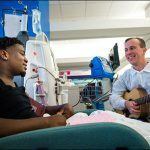 Day in and day out they garner smiles, giggles and outright laughter from patients and family members with the magic they make via their guitars, drums, voices and other instruments, some of which are half size so they can bring them into tight spaces such as the NICU and so they can play softly as to not disturb patients who might be sleeping. 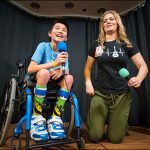 Carlton said she spends a lot of time with patients who are sedated and often intubated, and that she adjusts the music she makes to match their vital signs, and then slowly changes it to guide her patients to a more comfortable state with decreased agitation and perception of pain. 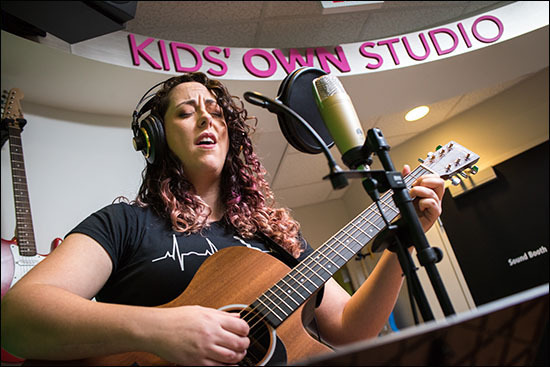 Way, a Renal Services music therapist and a member of the new Creative and Therapeutic Arts Program, works with nephrology patients across the hospital. 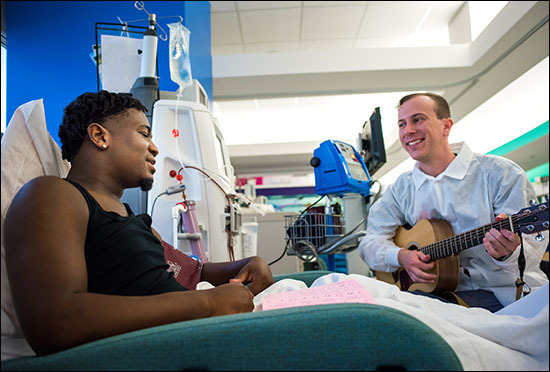 Through music, he’s able to help patients through the many burdens of kidney disease. 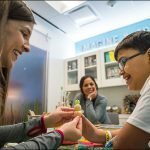 Biard said she loves being a music therapist at Texas Children’s because she gets to be the highlight of her patients’ and families’ days. 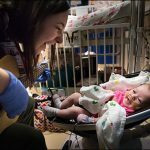 Learn more about Texas Children’s Child Life Department at https://www.texaschildrens.org/departments/child-life.